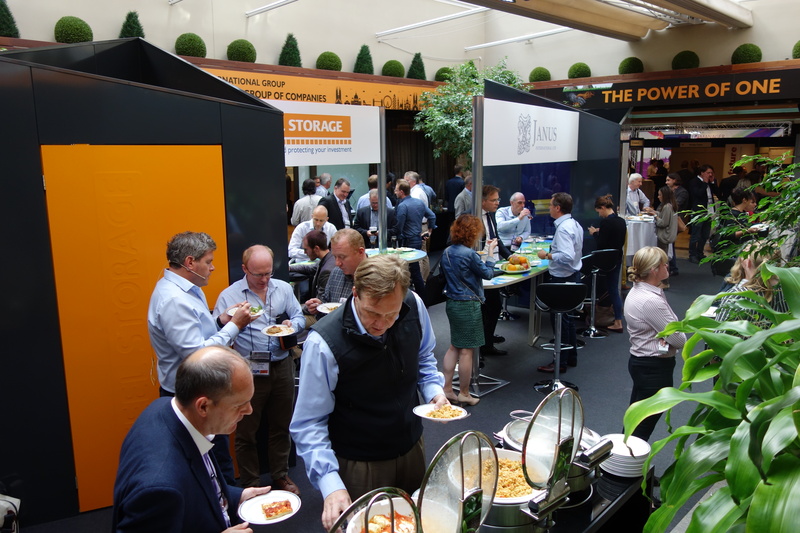 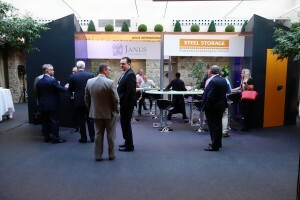 After whole process, months of fine-tuning the details, meetings, dealing with challenges and adding requested amendments, last week my design for the event in Barcelona Conference became alive. This year was special. 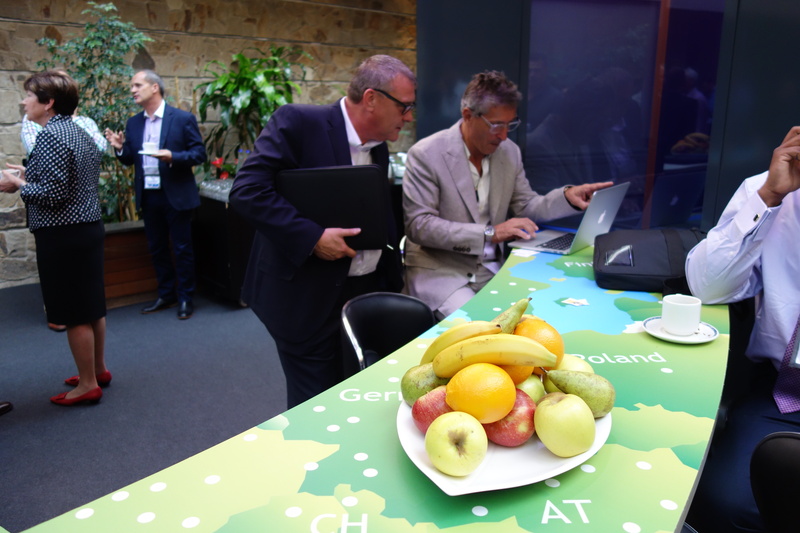 I had to combine 2 brands in one stand with the message of successful collaboration for European market. 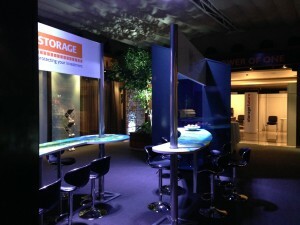 I had a few different ideas but the winner was “2 towers stand”. 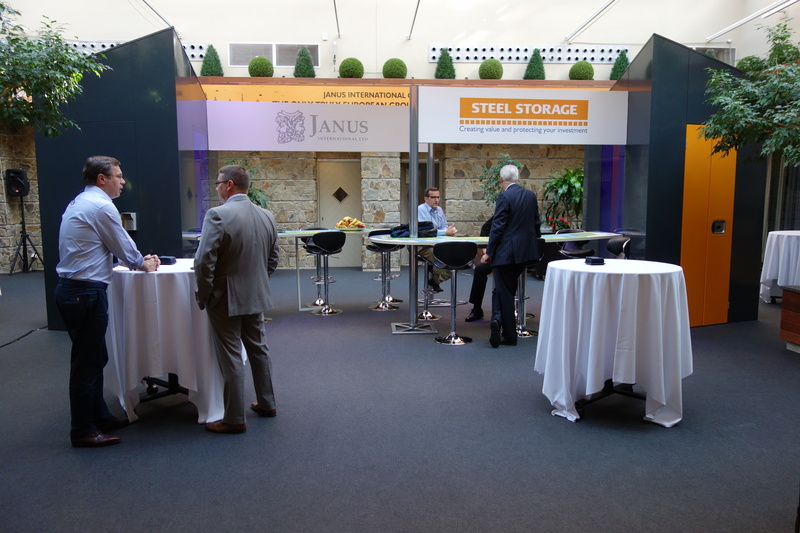 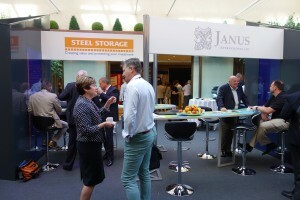 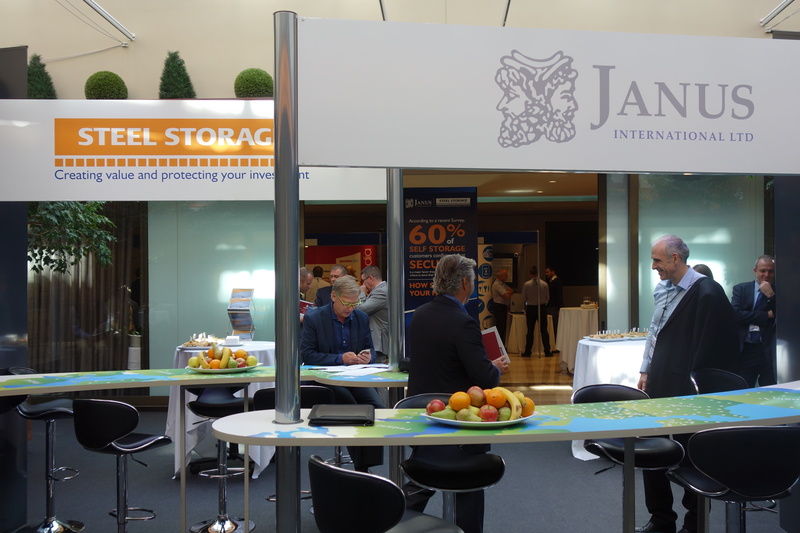 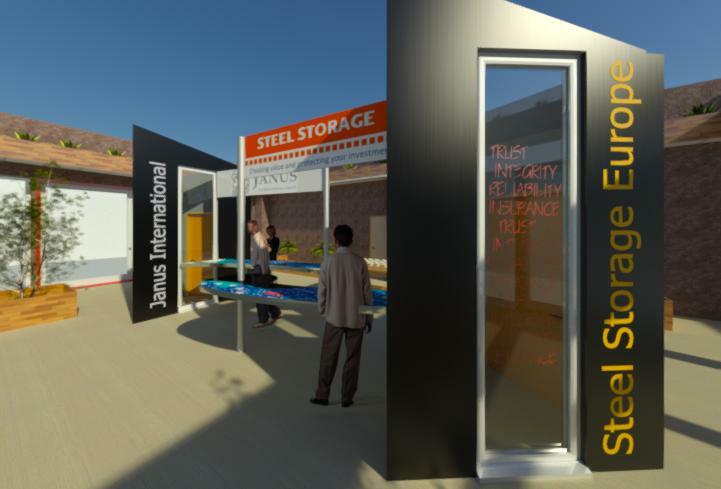 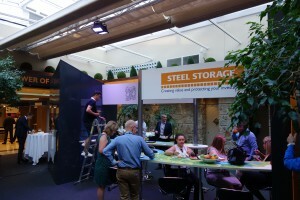 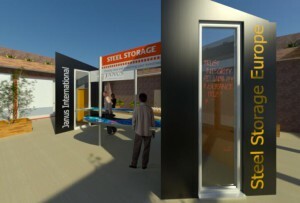 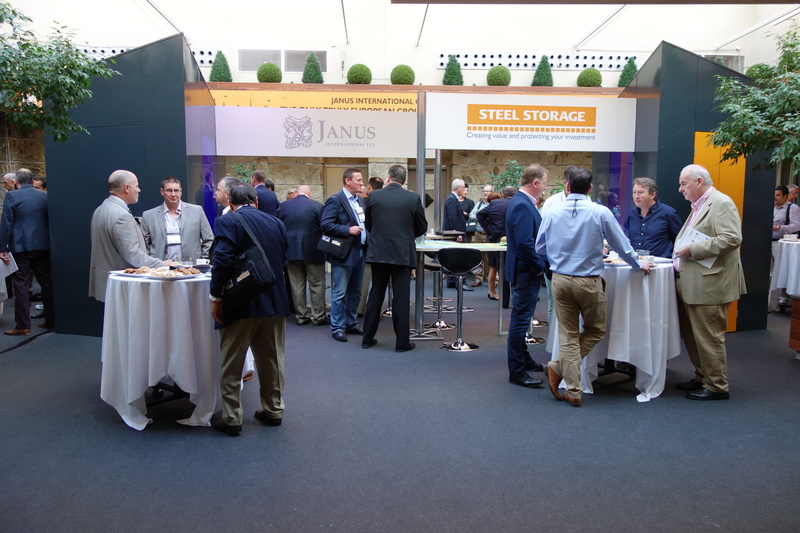 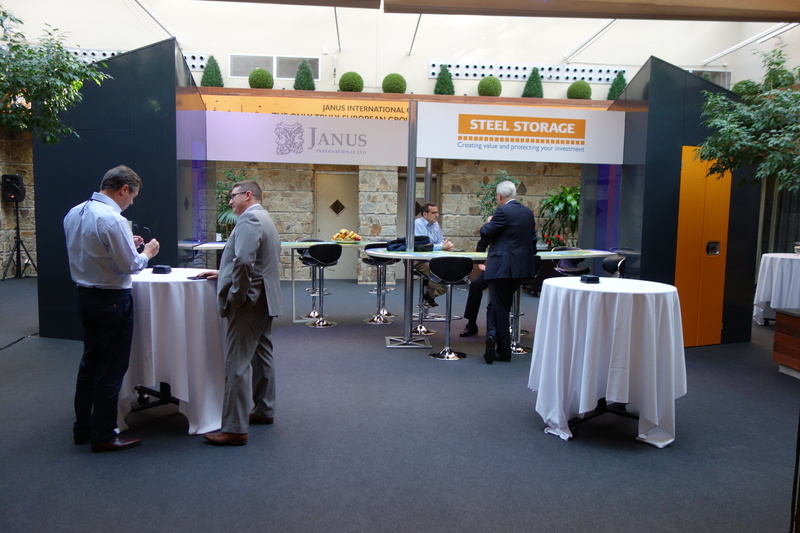 One tower of Janus International and one for Steel Storage Europe with the “arms-tables” carrying European maps.